Rumors of Amazon being in talks to launch its own music streaming service have been around for some time, and with the news that Apple has bought Dr. Dre’s Beats Music, it’s clear that the music streaming business is one that everyone wants to be in. 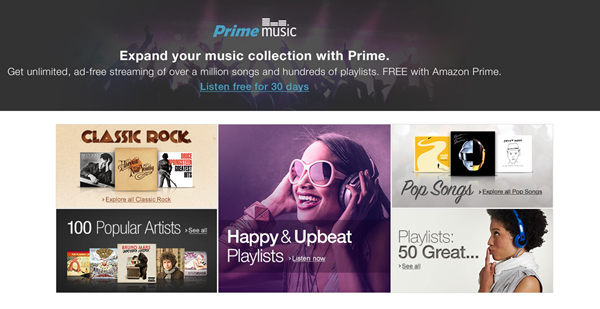 As of a few hours ago, Amazon is also in the music streaming game after Amazon Prime Music went live on the Web. 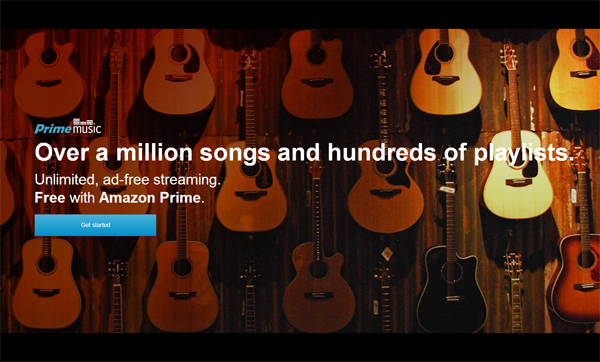 Free as part of the famous Amazon Prime subscription or available for free as a 30-day trial, Amazon Prime Music currently only offers a million songs for streaming, and has no popular songs from Universal Music initially. This may change as deals get struck over the coming months, but launching without Universal does leave gaps in the streaming service’s catalogue. There are also currently doubts over how quickly new music will pop up on Amazon Prime Music, but it’s still too early to really know how that will shake out. And yes, in case you’re wondering, Amazon Music Prime can be accessed via mobile using apps, which we’ve linked at the foot of this post for your convenience, but it would’ve been nice if Amazon had put forward dedicated Prime Music apps rather than just updating its existing apps lineup. There is of course and event at which Amazon is expected to launch a new smartphone scheduled in just a few days, so it’s possible that apps will come alongside that. Apps, especially mobile ones, are key to any streaming service’s chances, and Amazon will be well aware of that. Expect to see apps on iOS, Android and possibly Windows Phone sooner rather than later. The big names in the music streaming space are the likes of Rdio, Spotify and now Apple, but if Amazon gets behind its new music service in the way that we know it is capable, then we certainly wouldn’t want to bet against it being a success, just like the smartphone that’s on the way, too. We’ll keep our eyes and ears pealed for more news on both of those things, too. In the meanwhile, if you do give Amazon Prime Music a shot, then be sure to share your thoughts with us whether or not it will compete with the aforementioned big names like Rdio, Spotify etc.